As you guys may have noticed, I’m all about finding effective beauty solutions at home. One of my favorite things to do at home is own my nails, as I believe that you don’t have to pay a ton of money for a manicure as long you invest on the right tools! 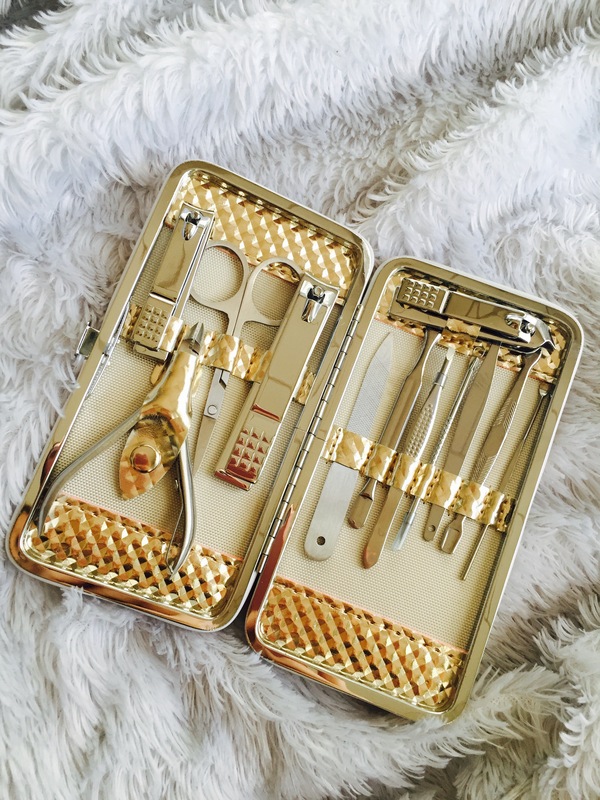 I recently got a hold of Aulexy nail grooming kit and I simply love it! This set is so complete that it brought tools that I had no idea what they were used for. The set includes nail clippers of various shapes (normal, diagonal, and toe nail), a nail filer, side puller, cuticle trimmer, multipurpose scissors, even an eyebrow tweezer, and much more! I love the feasibility to work with my nails (before this, I was only working with a nail filer and a nail clipper) which can certainly be limiting when you have painful and uneven edges! I think this set is fantastic, study, super easy to use, and makes the whole process pain free! Don’t forget to check it out!